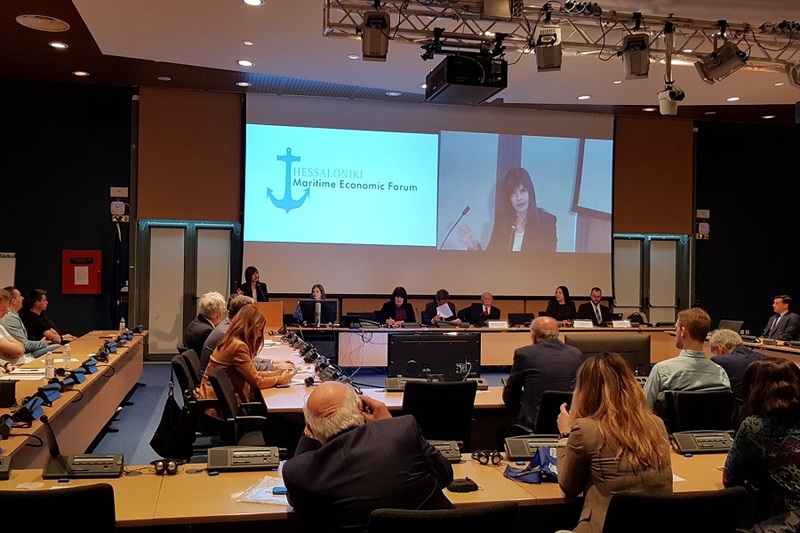 Cedefop Acting Executive Director Mara Brugia told participants in Thessaloniki’s Maritime Economic Forum conference, hosted by the agency on 5 April, that it is not enough for vocational education and training (VET) to adapt to change; education and training can also help shape the future of a region’s or a country’s economy and social fabric. For many years, she added, Cedefop has advocated that VET should be integrated in knowledge triangles – a link between businesses, education and research. Examples from different countries show the key role that VET can play in ‘smart specialisation’ strategies. Ms Brugia said that the need to interlink innovation, economic and employment policies with education and training, social policies and sustainability is increasingly recognised. She stressed that education and training institutions alone are not responsible for the quality, relevance and value of outcomes; it takes partnership, commitment and ownership from everyone involved. The agency’s work on skills governance was presented to participants by Cedefop expert Stelina Chatzichristou at a session on EU policy priorities, the vision and opportunities for education and vocational training.